Affordable Hotel with soothing and comfortable rooms. 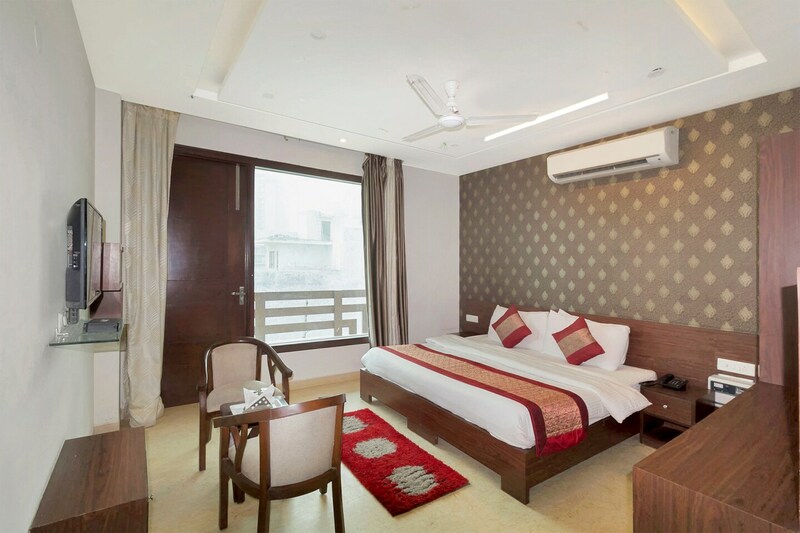 OYO 8332 Branson Villa is a meek and affordable property located in Road 42T, Sector 42, Gurugram.The wallpapers used in the decor are light colored and add to the cozy and comfortable vibe of the room. The rooms are capacious, well lit and airy.Each room comes up with free Wi-Fi, AC, TV, closet, and geyser. The hotel offers a power backup, card payment facility and laundry facility. The property is also under CCTV surveillance.Captain Grub, Sweet Obsession, Qureshi's Kabab Corner, Minus5degree, and Manhattan Brewery & Bar Exchange are the popular restaurants in the vicinity.